You will find below the horoscope of Bettina Zimmermann with her interactive chart, an excerpt of her astrological portrait and her planetary dominants. If you know the time of birth of Bettina Zimmermann, we would appreciate it if you would send us your information with your source, at stars@astrotheme.com. To thank you for contributing to the enhancement of our astrological database, we shall be glad to send you the astrological portrait (34 pages) of this celebrity. Horoscopes having the same aspect Moon trine Jupiter (orb 0°46'): Drake (entertainer), Jared Leto, Salman Khan, Jake Gyllenhaal, Heidi Klum, Muhammad Ali, Ian Somerhalder, Evelyne Dheliat, Charles, Prince of Wales, Courteney Cox, Zendaya, Michel Sardou... Find all the celebrities having this aspect. Celebrities clicked on in real-time: 577,209,365 times. Here are some character traits from Bettina Zimmermann's birth chart. This description is far from being comprehensive but it can shed light on his/her personality, which is still interesting for professional astrologers or astrology lovers. 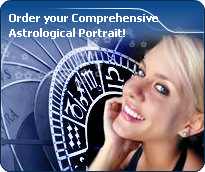 In a matter of minutes, you can get at your email address your astrological portrait (approximately 32 pages), a much more comprehensive report than this portrait of Bettina Zimmermann. Warning: when the birth time is unknown, which is the case for Bettina Zimmermann, a few paragraphs become irrelevant; distributions in hemispheres and quadrants are meaningless, so are dominant houses and houses' accentuations. Therefore, some chapters are removed from this part. Bettina Zimmermann, Fire is dominant in your natal chart and endows you with intuition, energy, courage, self-confidence, and enthusiasm! You are inclined to be passionate, you assert your willpower, you move forward, and come hell or high water, you achieve your dreams and your goals. The relative weakness of this element is the difficulty to step back or a kind of boldness that may prompt you to do foolish things. Cheers for communication and mobility, Bettina Zimmermann! The predominance of Air signs in your chart favours and amplifies your taste for relations and for all kinds of short trips, whether real (travels) or symbolic (new ideas, mind speculations). You gain in flexibility and adaptability what you lose in self-assertion or in pragmatism. Bettina Zimmermann, the Cardinal mode is dominant here and indicates a predisposition to action, and more exactly, to impulsion and to undertake: you are very keen to implement the plans you have in mind, to get things going and to create them. This is the most important aspect that inspires enthusiasm and adrenalin in you, without which you can grow weary rapidly. You are individualistic (maybe too much?) and assertive. You let others strengthen and improve the constructions which you built with fervour. After this paragraph about dominant planets, of Bettina Zimmermann, here are the character traits that you must read more carefully than the previous texts since they are very specific: the texts about dominant planets only give background information about the personality and remain quite general: they emphasize or, on the contrary, mitigate different particularities or facets of a personality. A human being is a complex whole and only bodies of texts can attempt to successfully figure out all the finer points. Your nature is optimistic and emotional, Bettina Zimmermann, and you are caught up in two incompatible longings: you are fond of exoticism and independence of movement, but at the same time, you feel comfortable in a form of middle-class attitude and conformism; in general, it translates into a succession of moods, now quiet and well adapted to the situations you experience, now marked by an irresistible desire for change and revival. You have a good and naïve nature, with a lot of self-confidence. Your emotionalism prompts you to live intensely a variety of numerous emotional experiences, a bit scattered, but with all the stimulations you need to be a balanced person. Your pleasant and welcoming attitude wins you some degree of popularity, all the more so because, despite your thirst for adventures that may scare away some people, you adjust to your environment's customs so easily. There is so much voluptuousness and so much charm in your personality, Bettina Zimmermann! You are what is called a “nature” and when confidence is established, slowly but steadily, you become deeply attached to your partner and you can be filled with passion. It may take months, even years, but you are so generous and affectionate that, in most cases, your relationship has many chances to blossom, with time. You are very physical and sensual and you are very keen to delight in your intimate moments. This aspect of your amorous relationship usually contributes to its sustainability. Everything seems idyllic, Bettina Zimmermann. It would be so if your jealousy and your possessiveness did not get started simultaneously with your powerful feelings. But you have so many assets, so be content! Bettina Zimmermann, the way you take action is quite paradoxical: you carry out your business perfectly well when you are in a teamwork with collective goals, but you do so in your original and individualistic manner: this is your main peculiarity. Your concern is to express your originality and your specificity while remaining immersed in a human community. You are curt and not very flexible. You are inventive and you easily fight authority, just because its very principle runs counter to the sacred values of freedom, independence and, above all, the absence of constraint. Competition does not appeal to you. You prefer to be useful and to conquer new territories of the humanitarian or the intellectual type. On the sexual plane, you are also often original and surprising regarding your fantasies and your tastes. This text is only an excerpt from of Bettina Zimmermann's portrait. We hope that it will arouse your curiosity, and that it will prompt you to deepen your knowledge of astrology, as well as to visit and use the wide range of free applications at www.astrotheme.com. Your Life Path is influenced by the Master Number 11, Bettina, which indicates a strong, demanding, and uncompromising destiny. It is all about revelation and early calling. You feel that you are entrusted with a mission, with the certainty that no setback could endanger it, and your own certitudes prevail over any other motivation. You have a lot of strength, and sometime, intransigence. Short-lived fashions and life vagaries cannot weaken your beliefs. You pursue a set direction, in quest of an extraordinary destiny, with the help of your intelligence, your inspiration and the natural influence you have over people. Even though your entourage may not always understand your secret determination and perceive you mainly as an impatient person, your fortitude overcomes many a doubt and obstacle. You can sacrifice everything for the sake of your deep aspirations.